This lampshade was way past its prime. It really didn’t look too bad on the exterior but the interior was looking more and more like a fire hazard every day. It isn’t a standard size so I knew it would be hard to find a replacement at a reasonable price. This was a great solution and a fun and simple project. 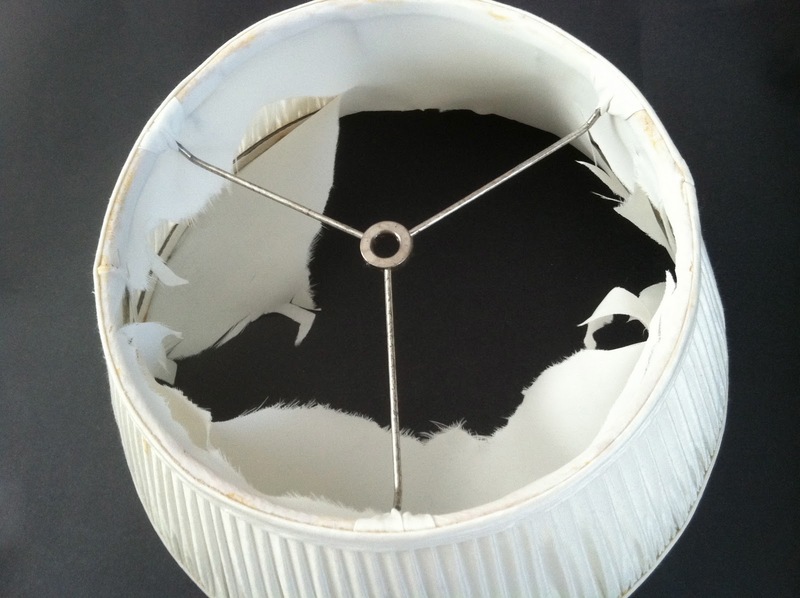 • I stripped the existing shade down to the wire frame. • Cut the wool felt to fit the wire frame. I cut generously so it would drape a bit. • Sewed the bead and ribbon on the bottom edge. • Stitched a seam up the back. • Next I got out my trusty grommet plyers and made grommets about 3” apart. 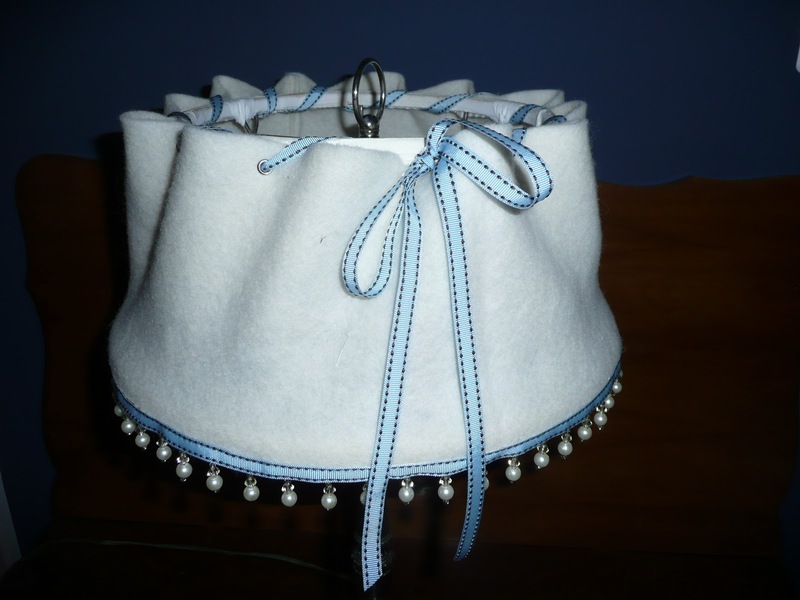 • Laced the ribbon through the grommets and around the top of the wire frame. 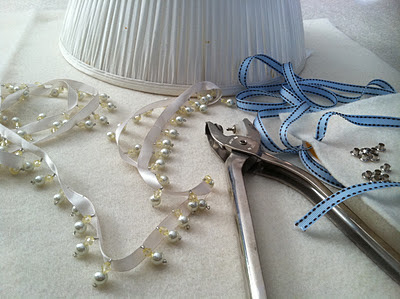 Tie a pretty bow and… it’s lovely! I haven't used my grommet plyers in so long, I had forgotten how much fun they are. 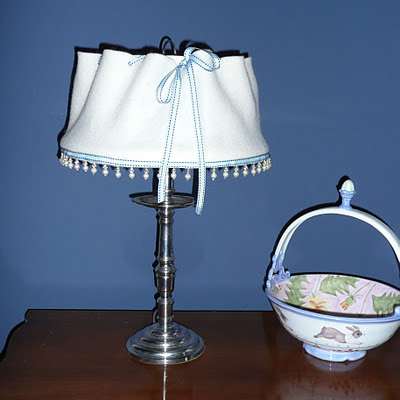 Now I want to make another lampshade with vintage linen that has a beautiful border.